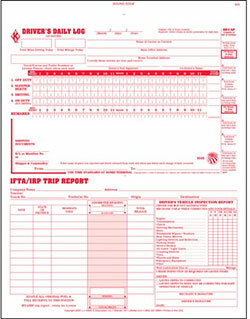 The Carbonless 3 in 1 Driver's Daily Logs 727-L is a 2-Ply Book Format log book that has a Detailed Driver's Vehicle Inspection Report (DVIR). This log can also be used for compliance with DOT's Hours of Service Rule. 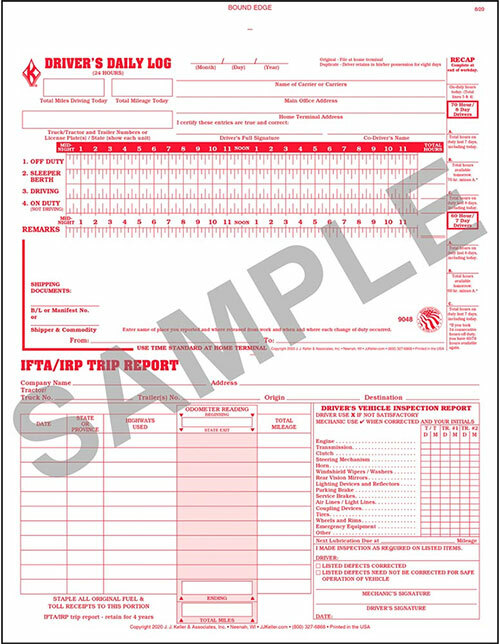 This log book also features a recap to help your drivers quickly determine hours available, a monthly summary sheet with instructions for the 34-hour restart provision, and a summary of DOT's Driver's record of duty status regulations to help simplify compliance. Image shown is 728-L. 3 in 1 Log 727-L is similar to 728-L except that the former is 2-Ply.